I hope you make time today to vote. **Also, please pardon my silence lately! Thanks to Sandy I am still unable to return home, unfortunately, and am a bit off of my regular schedule. That said, I am very thankful to be safe, with wonderful friends, and for the fact that I have lost relatively little in comparison to others. I have also been so blessed with caring thoughts and emails from so many people, from all circles of my life and even from some people that I’ve not yet had the pleasure to meet in person, but rather have reached through this blog. Thank you, thank you, thank you. You’re all the cat’s pajamas, truly. in my neighborhood (Lower Manhattan)are currently facing here. 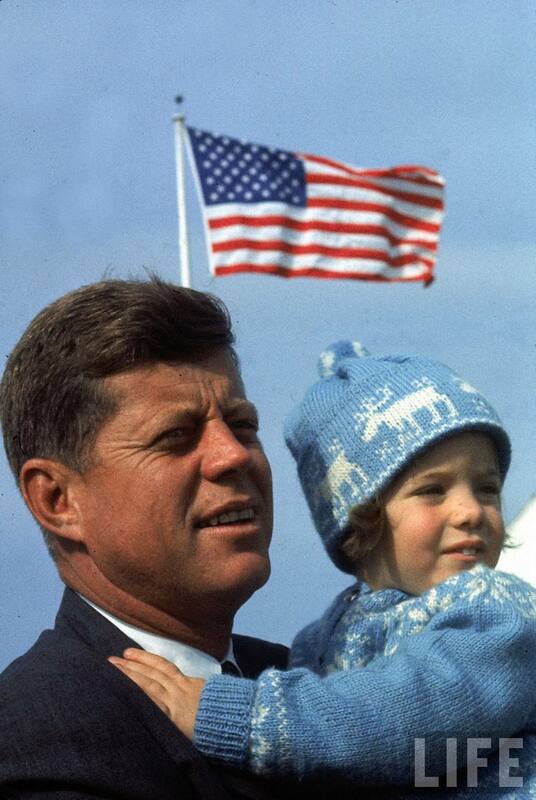 Photo of Caroline & John Kennedy in Hyannis Port on Election Day, 1960. Taken by Paul Schutzer, via the Life Archive. § 4 Responses to Vote! Great photo. Grateful that you are safe, but sad to hear of all the devastation in the wake of Sandy. You know, I’ve never had the pleasure of meeting either you or your cousin Ben, but sweetness must run in the family! You are currently reading Vote! at Quite Continental.